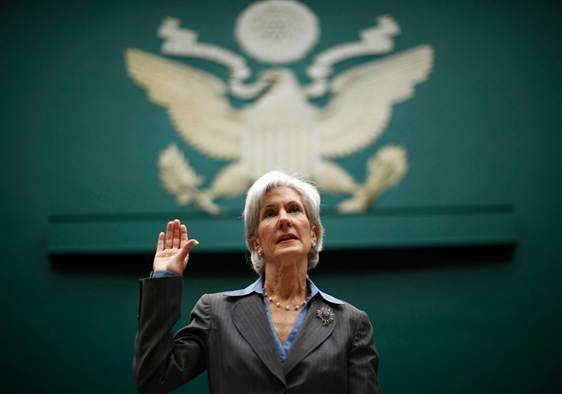 Kathleen Sebelius sat in front of a House panel for three and a half hours Wednesday – facing questions from livid lawmakers, even some who’d called for her resignation before she sat down. The heated hearing covered a lot of ground – from the problems with healthcare.gov, to what the White House knew and when. But there were other key moments in the hearing, too, that help explain what went wrong with the website and how the White House plans to solve both its political and practical problems. read here at msnbc live the key takeaways. This entry was posted on October 31st 2013 at 11:17am/11:17 and is filed under Live News Column 2, Politics. You can follow any responses to this entry through the RSS 2.0 feed.